For care you know will help your pets feel better, make an appointment with us. The Bryan Area Animal Hospital staff loves what they do. We are committed to providing quality service in preventative, medical, and surgical pet care. 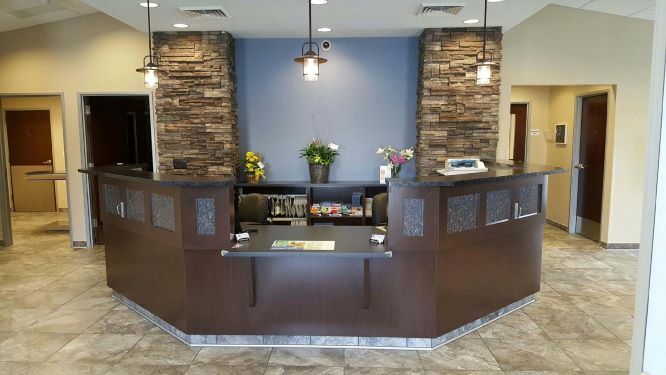 We strive to create a welcoming and comfortable environment for you and your pet. Pet Emergency? Call us right away at 419-636-3848! If you live in Bryan or the surrounding area and need a trusted veterinarian to care for your pets – look no further. Dr. Luc and Dr. Rachel Hesselschwardt are licensed OH veterinarians, treating all types of pets. Your pets’ health and well being are very important to us, and we take every possible measure to give your animals the care they deserve. 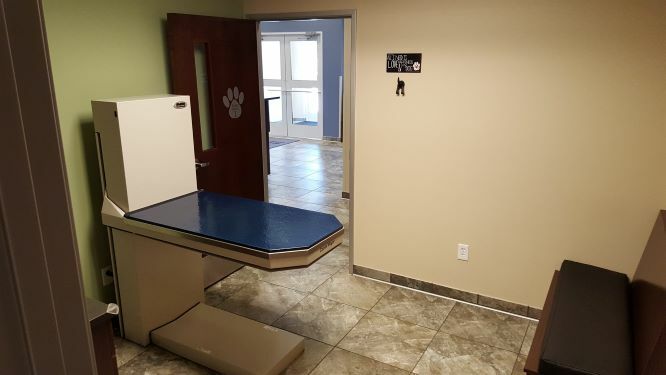 Bryan Area Animal Hospital is a full service animal hospital and welcomes both emergency treatment cases as well as routine medical care. Our services include: dental cleaning, dental x-ray, therapeutic laser treatments, ultrasound, surgery, and digital x-ray. 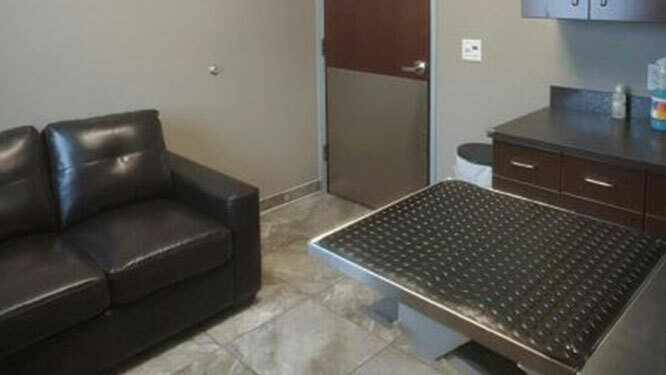 We also have a full service in house lab which allows us to have bloodwork results within minutes. Dr. Luc and Dr. Rachel Hesselschwardt have years of experience treating serious conditions and offering regular pet wellness care. 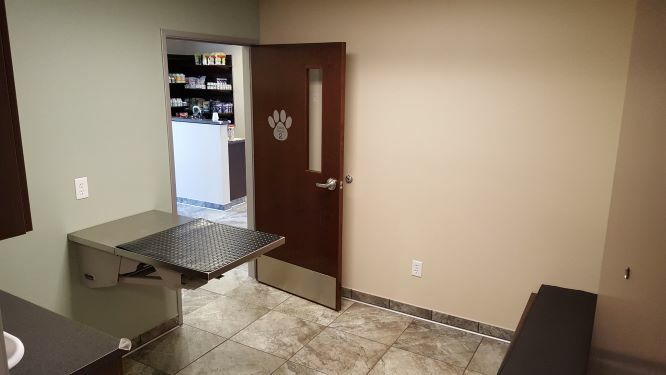 We strive to make our clinic comfortable, kid-friendly, and calm, so your pet can relax in the waiting room and look forward to meeting our Bryan veterinarian. We are happy to offer a number of resources that enable you to learn about how to take better care of your pets. Please feel free to browse our site, particularly the informational articles. The best veterinary care for animals is ongoing nutrition and problem prevention, so becoming knowledgeable about preventative pet care is essential to the ongoing success of your animal’s health. If you have any questions, call 419-636-3848 or email us and we'll promptly get back to you. 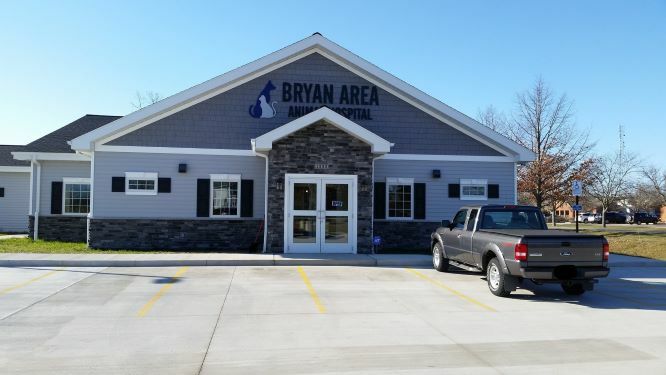 Our Bryan veterinarian office is very easy to get to -- and you can find directions on our Contact Us page! At Bryan Area Animal Hospital, we treat your pets like the valued family members they are.